At NTC, we want nothing but the best for our students and we believe creating the right environment helps them succeed and reach their goals. With our fantastic classrooms and excellent IT Facilities, we want to point all our students towards success. The classrooms are centrally heated and equipped with fit-for-purpose furniture. There is an IT lab with latest spec computers with internet connection and designated software recommended by our partner awarding bodies. There is access to printing and copying facilities in Head Office. Students may also access the WI-FI network throughout the study site using their own laptops, net books and tablets. The code can be provided by a member of staff in Head Office. The College endeavours to extend as much support as possible to our students and the Academic Board and other committees take full account of student feedback and requests and is tasked to respond in a sympathetic and timely manner. The students can also submit their feedback at online feedback portal available at the college website. Class and Student Representatives take part in the decision making process of the College through their participation in the College. An internal VLE system is currently being developed and students will have access to learning materials, presentations, course updates, the academic planner, various feedback forms and reports and results once it is fully developed and operational. 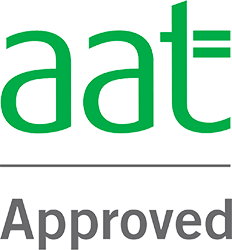 E-learning facilities are also available on AAT website once the student has been registered with the awarding body. The College has a Library. We operate a one week loan facility for all the books in our library. There are also other libraries within easy reach of the college. We recommend that all our students register with appropriate professional bodies and subscribe to their services in order to enhance their learning opportunities. The staff and student organise various tours to increase cultural awareness. The students can subscribe to various sports and other facilities in nearby areas. Student can relax at common space during study breaks. Also, various eating places are available within close vicinity of the college.